Explorers – This person is exactly who you think they are. They’re someone that likes to go out and find things and bring them back to the community. (Important part there.) If you’re a product manager or a marketer, you love this type of player. They will be the first to try your app/respond to your marketing efforts. Achievers – Again, they’re exactly what you’d think. These users take a deep dive into your offering and become experts of your product/offering attempting to master every challenge. Socializers – This is the most common type of player and the game serves as a backdrop for the social interaction. Champions – People who purchased the product/service on a regular basis and are good marketers. The focus of this book is building game mechanics into your mobile application AND as you read it, you will come up with amazing marketing strategies/tactics. (Assuming you’re a marketer.) 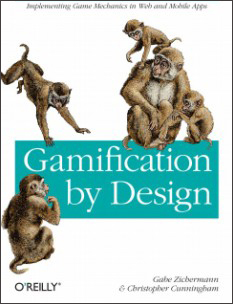 If you’re a product manager, this book will also impact your thinking as well.